Online ordering menu for Pier 88. 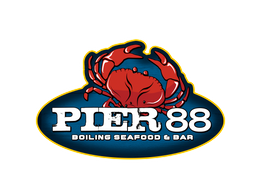 Welcome to Pier 88 in Hampton, Virginia where we serve delicious seafood! Our menu offers Fried Catfish, Fried Oysters and Shrimp, Snow Crab Legs, and Clams poached in a signature blend of spices! Don't forget to try one of our Po-Boys such as the Fried Tilapia or the Fried Calamari Po-Boy. We are located near the Cinema Cafe, Riverdale Plaza Shopping Center, and the Peninsula Town Center. Order online for carryout!